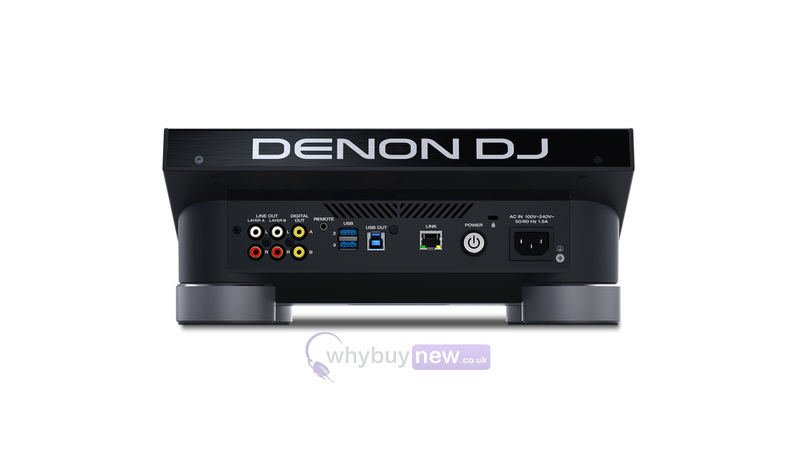 The Denon SC5000 professional DJ media player is part of the latest 'Prime' series by Denon DJ. It features a high definition multi-touch display and an 8-inch rugged metal jog wheel with HD central display and colour customisable RGB light ring. The SC5000 is powered by a multi-core processor and runs 'Engine Prime' Music Analysis & Management Software which features full iTunes and Serato DJ integration. 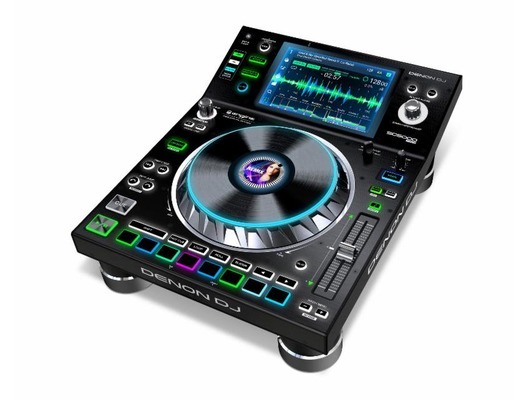 The Denon DJ SC5000 Prime represents a real paradigm shift in DJ Technology, right here, right now. This groundbreaking digital DJ Media Player has a high definition, hi-contrast display that enables multi-touch gestures for the ultimate in latency-free, tactile track navigation, load and playback. 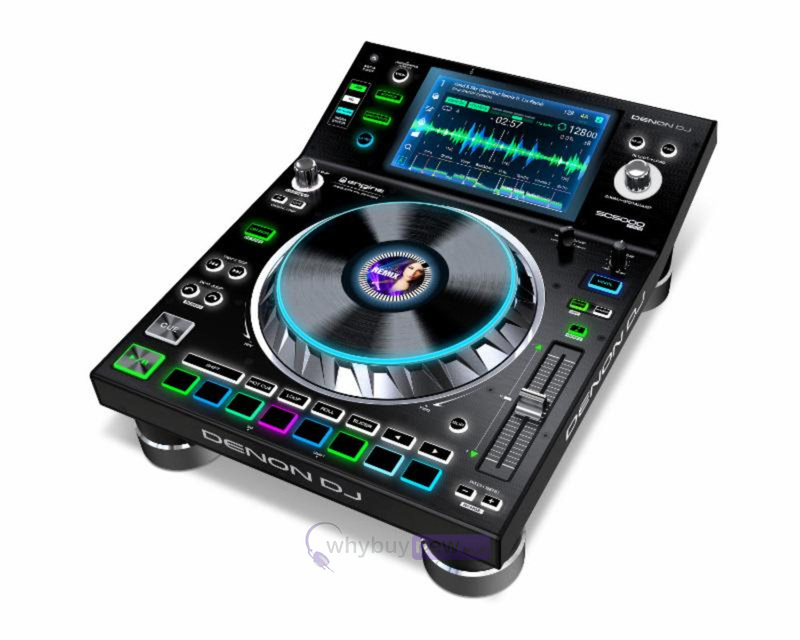 The SC5000 is also the world's first DJ Player capable of on-board music file analysis, really empowering you with its innovative dual-layer deck capability and an 8-inch rugged jog wheel with central display that displays either current playing track or custom artwork. Powered by a dedicated, multi-core internal processor, the SC5000 runs 'Engine Prime.' This latest version of Denon DJ's music librarian software is onboard the unit, offering you direct access and convenient performance features, so you can be at your creative best. The SC5000 doesn't stand in the way of your creativity-it works with you and gets out of the way! Unique on the SC5000 is its bank of eight multifunction trigger pads that deliver unprecedented creative expression for your hot-cues, loops, slices and roll playback - all safely locked down by the SC5000's insanely accurate beatgrid analysis. Up to four SC5000 Players can be LAN networked for synchronized data transfer between units, plus you get enhanced BPM and FX possibilities using 'Engine Connect' protocol to work with Denon DJ's new X1800 Prime, 4-Channel mixer. Once a USB drive or SD card is inserted, the SC5000 remembers any previously entered DJ preferences, ensuring that from within the 'Engine Prime' eco-system, the unit recalls every one of your performance preferences and settings. This includes any previously performed track cue points, loop regions, playback history, preparation folders and of course any live, on-the-fly, track analysis. 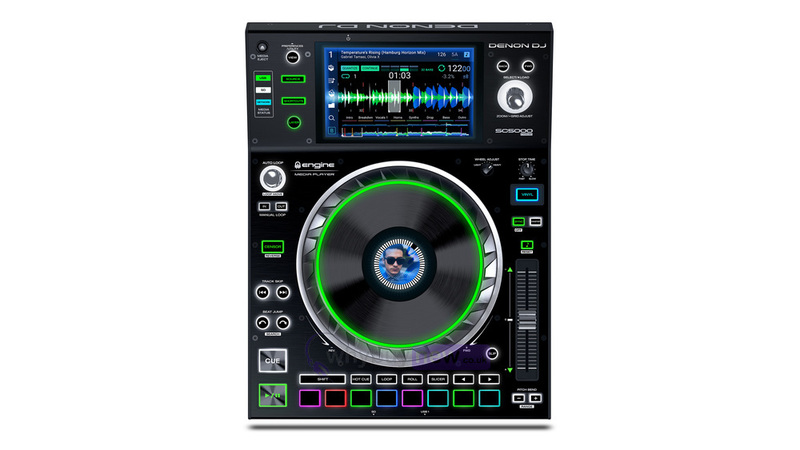 Visual customization is highlighted by your choice of main primary colours for the SC5000 Prime's 8-inch (touch-capacitive) jog-wheel LEDs, in addition to using your own DJ brand logo or selected track artwork on the beautiful central display. On the SC5000 touch screen, elegant zoom-in and zoom-out of the big, beautiful track waveforms brings you to the pinnacle of musical timeline visualization. SC5000 performance trigger pads enable expressive manipulation of standard Serato DJ pad modes. 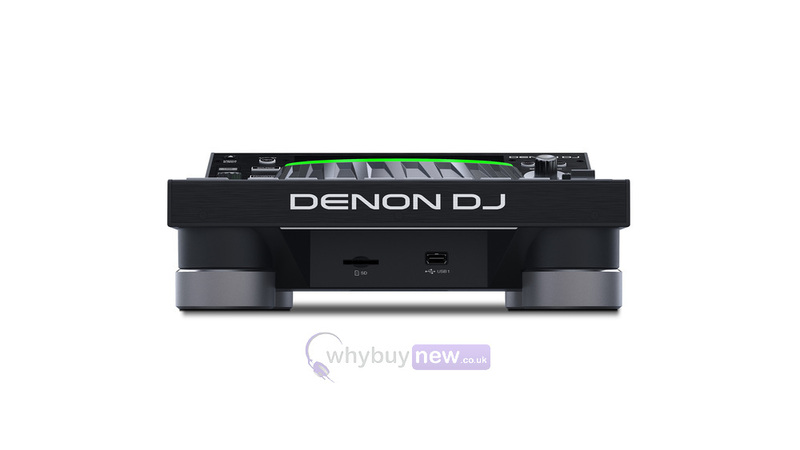 Here we have the Denon DJ SC5000 in brand new condition and in B-Stock. The B-Stock versions would have been on display at a training evening or trade exhibition only and will come boxed 'as new' with all accessories and a 1-year warranty.